Read Brave Saint Paul is a citywide, intergenerational reading program set around a common theme relevant to the city. The 2020 theme will be announced soon. Read Brave Saint Paul is a citywide, intergenerational reading program set around a common theme relevant to the city. Check out the official 2019 Read Brave Saint Paul book picks for all ages. Discussion questions, Q&As, and more to help guide your discussion. 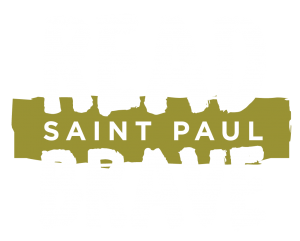 The latest events, news, and resources for Read Brave Saint Paul. Watch Mayor Melvin Carter chat with Meg Medina at George Latimer Central Library about her book, Read Brave, and more. Read Brave week has arrived! Newbery Medal-winning author Meg Medina touched down in Saint Paul Monday evening ahead of a very busy week. How can a community have brave, challenging conversations? That was the question Mayor Melvin Carter posed to the library. Download the February 2019 Read Brave Saint Paul calendar. Read Brave Storytime with Mayor Melvin Carter at Highland Park Library on Saturday, January 26, 2019. Mayor Carter read "Shelter." Download the Read Brave Saint Paul program flyer, which lists information about all elements of the program. Civic Lab is an interactive display that addresses issues impacting the community and engages citizens in conversations relevant to them.